Brent’s back! Millions of members around the globe will have the chance to turn the noise UP when the eagerly-awaited Netflix original film David Brent: Life on the Road premieres on February 10, 2017 worldwide, excluding the U.K., Ireland, Australia and New Zealand. 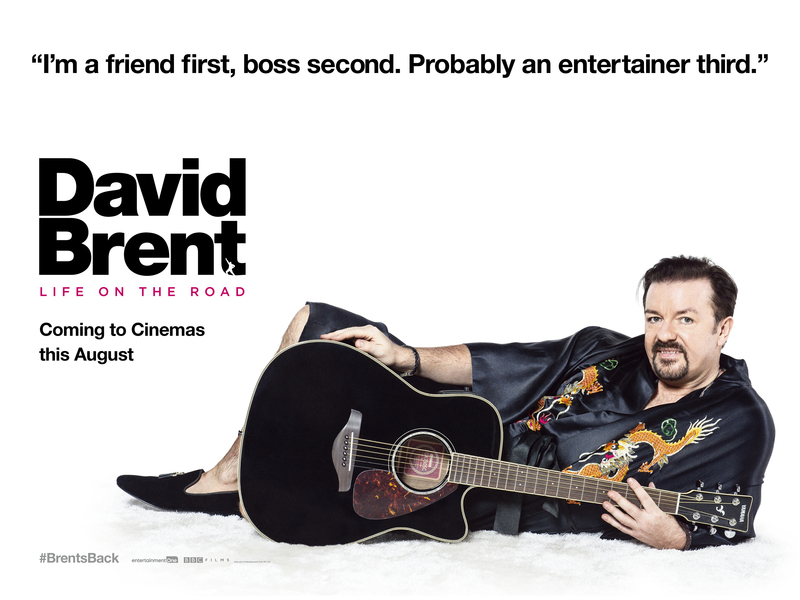 Directed, written and produced by award-winning, comedic genius Gervais, David Brent: Life on the Road sees a documentary crew catching up with the idiosyncratic David Brent from the BBC2’s mockumentary The Office. The most successful British comedy of all time, The Office and its fearless and fumbling leader Brent garnered fans around the globe and spawned seven remakes across four continents. When audiences were first introduced to Brent, the self-proclaimed “Friend first, boss second. Probably an entertainer third” dreamed of becoming a rock superstar. Twelve years on, Brent is now a traveling salesman chasing the dream with his band, ‘Foregone Conclusion’. Assembling a group of session musicians who are just in it for the money, and a talented rapper Dom (Ben Bailey Smith) in an attempt to gain street cred, Brent cashes in his pension and takes unpaid leave in pursuit of his dream and one last shotat fame and fortune. Gervais is uproarious reprising his role as the unwittingly offensive, but often endearing character. 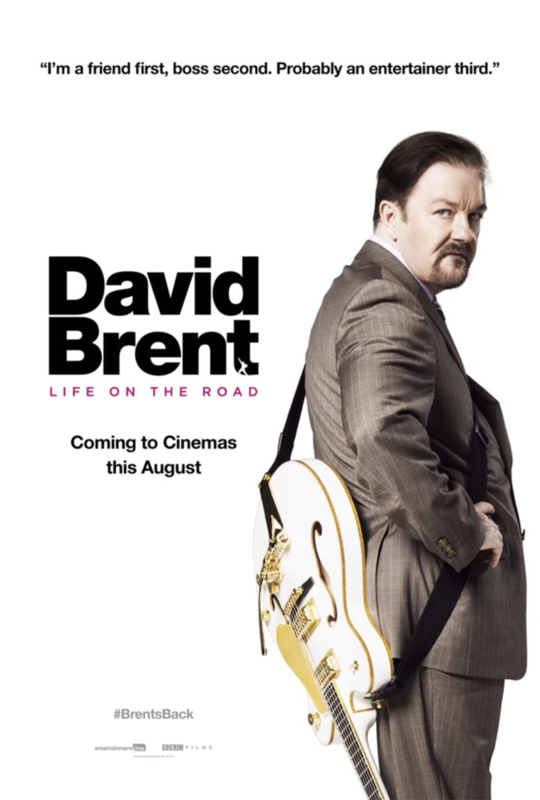 David Brent: Life on the Road features original music and lyrics by Gervais, and musical arrangement by Andy Burrows of Razorlight and We Are Scientists fame. Netflix has acquired U.S. and select international rights to Ricky Gervais’ upcoming film David Brent: Life on the Road, excluding the U.K., Ireland, Australia and New Zealand. The film will premiere on Netflix in 2017. In the U.K., Ireland, Australia and New Zealand, the film will be receiving a saturation theatrical release by Entertainment One (eOne) this coming August. The feature length film sees a documentary crew catching up with David Brent twelve years on from the BBC2 documentary “The Office.” Brent is now a travelling salesman, chasing his dream of rock stardom by self-financing a UK tour with his band, ‘Foregone Conclusion’. “We are thrilled to welcome the iconic character of David Brent back to Netflix, as we were the home to the first digital deal for ‘The Office,’ starring Ricky Gervais. Our existing collaborations across series, for ‘Derek,’ and in film, with ‘Special Correspondents’ have been fruitful, and it’s only fitting for us to have Ricky’s upcoming feature film available to as many of our viewers as possible,” said Ted Sarandos, Netflix chief content officer. “I’m so glad the mighty Netflix have once again outbid all competitors in North America to show my movie exclusively. It is the perfect platform for me, giving complete creative freedom and also millions of instant viewers who can watch again and again. I can’t wait for David Brent to follow it up with his US live tour!,” said Gervais. In addition to Gervais, the cast includes the multi-talented Ben Bailey Smith (“Midwinder of the Spirit,” “Law & Order”) as Dom, most recently seen rapping in Brent’s ‘Equality Street’ and writer/comedian Tom Basden (“Plebs,” “The Wrong Mans”) as Dan, Brent’s road manager. David Brent: Life on the Road sees the introduction of Brent’s new office colleagues including love-struck Pauline (Jo Hartley, “This is England ‘90,” Not Safe For Work), his ‘comedic’ partner in crime Nigel (Tom Bennett, “PhoneShop”), his office nemesis Jezza (Andrew Brooke, “PhoneShop,” “Babylon”) and his much needed Therapist (Nina Sosanya, Love Actually, “W1A”). Brent’s Drummer in his band ‘Foregone Conclusion’ is the incredibly talented Andy Burrows of Razorlight and We Are Scientists fame. The cast also includes Kevin Bishop (“The Kevin Bishop Show”), award winning Roisin Conaty (“Impractical Jokers UK”), Diane Morgan (“Charlie Brooker’s Weekly Wipe”), Ashley McGuire (“Derek,” “Miranda”) and introducing Alexander Arnold (“Skins,” “Poldark”) and Mandeep Dhillon (“24: Live Another Day,” Some Girls). David Brent: Life on the Road is a LOTR Films Ltd production, co-financed by eOne and BBC Films. The film is executive produced by Duncan Hayes, Christine Langan and Alex Hamilton, produced by Charlie Hanson (Cemetery Junction, “Derek,” “Extras”) and co-produced by Katie Mavroleon (“Marley’s Ghosts,” “Pompidou”). David Brent: Life On The Road sees the highly anticipated big screen debut of one of comedy’s best-loved characters, David Brent (Ricky Gervais). The film catches up with Brent twelve years on from the BBC mockumentary ‘The Office’ to find he is now a traveling salesman with Lavichem, a cleaning and ladies’ personal hygiene products company. However, he hasn’t given up on his dream of rock stardom and is about to embark on a self-financed UK tour with his band, ‘Foregone Conclusion’. Assembling a group of session musicians who are just in it for the money, and talented rapper Dom (Ben Bailey Smith) in an attempt to gain street cred, Brent cashes in his pensions and takes unpaid leave in a bid to turn his dream into reality. 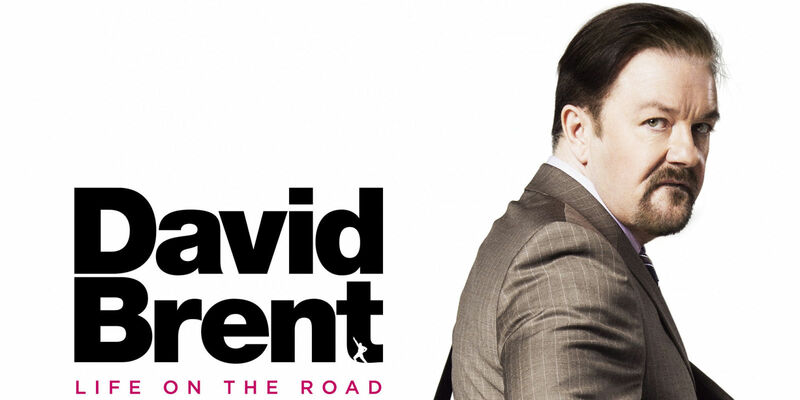 Get ready to join David Brent on the road as he takes one last shot at fame and fortune. David Brent: Life On The Road is written, directed by and stars Ricky Gervais, with original music and lyrics by Gervais, musical arrangement by Andy Burrows (Razorlight, We Are Scientists) and raps by Ben Bailey Smith. Coming to UK & Ireland cinemas August 19, 2016 and then Netflix in 2017.